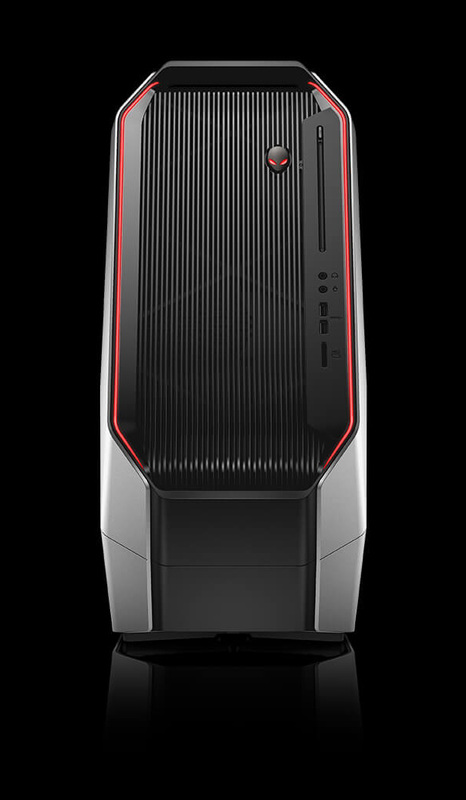 Alienware this evening has announced their new Area-51 Threadripper Edition desktop at E3. 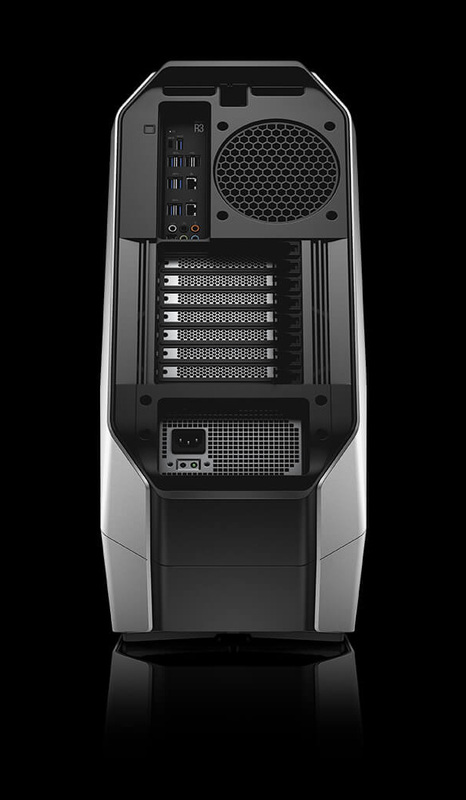 The high-end gaming desktop offers up to a heady 16-core/32-thread AMD Ryzen Threadripper processor – marking AMD's first OEM win for the HEDT processor – paired with a customized CPU liquid cooling system. In addition, Alienware has revealed that they will be “the exclusive OEM launch partner to deliver AMD Ryzen Threadripper pre-built systems to market”, which can be a bit confusing, but as later confirmed by PCWorld, is solely about a temporary exclusive among the OEMs. Alienware's exclusive deal won't impact stand-alone CPUs for enthusiasts. The custom Triad Chassis fits three graphics cards, nicely complementing Ryzen ThreadRipper’s 60+4 PCIe 3.0 lanes and X399 chipset, and the GPU options top out at dual Nvidia GeForce GTX 1080 Ti’s or triple AMD Radeon RX 580s. To run this gamut of cards, PSU options range from 850W 80+ Bronze to 1500W 80+ Platinum. And not one to be ever out-done on bling, Alienware has made sure the chassis has AlienFX Lighting for any and all LED needs. The TR4 socket Ryzen ThreadRippers will come with an all-core factory overclock and will be available as a 12-core/24-thread variant. Memory options top out at 64GB of 2933 MHz quad-channel DDR4 RAM, while storage offerings go up to 1TB M.2 SSDs and 2TB HDDs. Connectivity-wise, two USB 3.1 Gen-1 Type-A ports, media card reader, headphone jack, and microphone jack is included in the front, while the rear includes ports for dual Killer Networks E2500 Gigabit Ethernet as well as “10 USB ports of different form factors, including a Type-C port”. Positioning the Area-51 Threadripper Edition and its 6/8/10/12-core Intel Skylake-X counterpart for “4K, 8K, or VR applications" as well as "megatasking”, Alienware is offering demo rigs to visitors at E3 to experience the system first-hand. They will probably be as heavy as they look: the starting weight for these pre-builts is roughly 62 pounds. 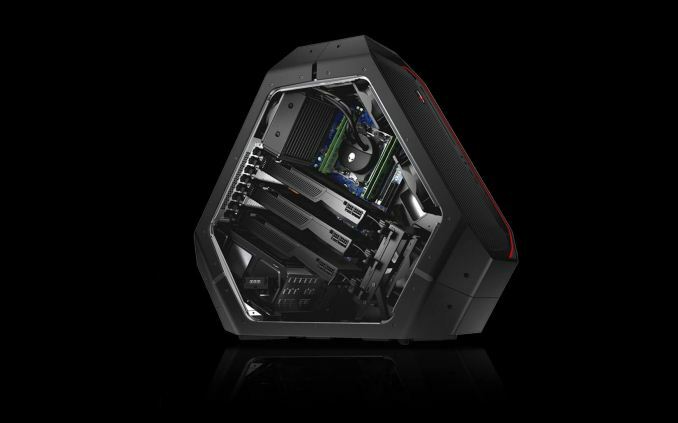 Wrapping things up, Alienware's Area-51 Threadripper Edition will be available for pre-order on July 27. However pricing has not been announced at this time, and more importantly, neither has a shipping date. AMD has not yet unveiled ThreadRipper's release date, so all we know for sure by now is that it won't be any sooner than July 27th, and may very well be later. Meanwhile Area-51 models with Intel's Skylake-X family of CPUs will be available on August 22. Good to see major OEM like DELL fully backing AMD Ryzen processors. They already released Ryzen 5/7 desktop PCs and AIO PCs. Now this is even better. i hope AMD will use the time to avoide a ryzen debacle. don´t get me wrong the CPU´s are great but the mainboards where just a nightmare after release (and some are still a PITA to use). "And not one to be ever out-done on bling, Alienware has made sure the chassis has AlienFX Lighting for any and all LED needs." Why is AMD always shooting itself in the face? Wut? A temporary launch exclusive in a desirable product by the only OEM that was willing to make AMD servers back in the day is hurting them? Getting a threadripper desktop out the gate, when construction never saw a single win in 4 years, is bad? A new author I see?